Paving, Stone, and Construction Services. South Fork Asphalt has proudly served Long Island, NY for over 40 years. We are happy to bring you quality products and services, whether you are a homeowner, contractor, school, or municipality. We provide free estimating and assist in your project design for asphalt paving, drainage installation, site work, tennis courts, driveways, curbing, snow removal and much more. Call us and speak with our friendly staff at 631-283-0037. Driveway sealing, hot crack filling, asphalt repair, sealing, parking lot maintenance, and line striping for residential and commercial property owners throughout the New Haven, Fairfield, and Litchfield County areas and beyond! Our company utilizes top of the line commercial grade materials combined with modern machinery and practices, which allows us to provide your driveway, walkway, or parking lots with a beautiful appearance and protected surface. We are the Southbury sealcoat professionals that will offer you the greatest possible service at the best prices. We make an effort to complete each project we take on in an efficient an timely manner, in order to reduce any inconveniences to the property owner. We can handle projects of all sizes and scope, from a small pothole in your driveway, to large commercial parking lots. John's Asphalt is a full-scale construction company that specializes in paving, masonry, drainage solutions and site work services. Founded with the goal of providing best in class results, John's Asphalt proudly offers commercial construction services for residential properties, commercial buildings and professional development and engineering firms. Commitment to 100% customer satisfaction defines the values of John’s Asphalt. Established on relationships, integrity and quality work, John's Asphalt strives to consistently deliver exceptional results that exceed expectations. John's Asphalt is available to customers 24/7. 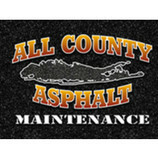 Contact John’s Asphalt today to set up an appointment. 5 Star Seal Coating is a family owned and operated business. We have been in the trade for 20+ years. Our goal is to bring all our customers 100% satisfaction. and all our work is done to Perfection. If you want the job done right go the 5 Star way!!! Call about our Spring 2015 specials, and remember ALL ESTIMATES ARE FREE! Flawless Paving Company specializes in all aspects of construction & maintenance including parking lot paving, patch-work, road-work, driveways, drainage, seal coating and line striping . We are experts in masonry including brick / block, paving stones, structural and poured/finished concrete. We fulfill projects of all sizes by covering every phase of paving and masonry development within one company. Whether it’s a small asphalt patch, parking lot pot-hole repair, or a new construction parking lot with drainage and/or curbing, we will meet all your project needs. More than a blacktop paving contractor , we are a full staff of experts who work to ensure your project runs smoothly from start to finish. We are licensed in Long Island, Suffolk County, Nassau County , as well as Queens , and the five boroughs of NY. With years of knowledge and experience in the paving industry working with small commercial businesses, large corporations, and residential customers, we are here to help you! NY Paving and Masonry offers a wide variety of services in our paving operations. From residential driveways to commercial parking lots and private roads, we can handle any asphalt paving task while taking pride in the quality of our work. When it comes to Patio Contractor, Driveway Paving and Outdoor Kitchens, no one compares to Island Driveways & Patios, Inc. With years of combined experience, Island Driveways & Patios, Inc has worked hard to build the trust of our clients in East Setauket, Commack and Huntington and beyond. Visit our website to learn more. Or better yet, click the link and call us today! Sullivan Paving Company is a licensed and insured, family-owned company that has been serving the residents, businesses and municipalities of the Connecticut shoreline and Southern Connecticut River Valley for over 50 years. 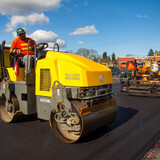 We are a well-renowned paving company in Connecticut and maintain our stellar reputation by delivering dedicated and uncompromising service to all of our customers. We offer a 3 year guarantee on all new paved driveways and a 1 year guarantee on sealcoating. Let me first introduce our company. Masonry "R" Us inc. is fully licensed and insured carrying more then sufficient coverage and workers comp. We've been successfully serving all of long island for many years, with no complaints and gaining satisfied customers everyday. We go above and beyond all other companies to achieve your full satisfaction. All of our employees go through extensive training and classes constantly. We're on time, reliable, experts in safe working (OSHA CERTIFIED) and responsible. That's why we have repeat customers and recommendations. We know it's hard to choose a company to do home improvements, but the search ends here. We can provide you with 100's of customer referrals, pictures, and even see our work in person at previous jobs. Our company is extremely neat and clean during all phases of work. We are not the fly by overnight contractor, we stand by everything we do! We are a full service company. We based our business off of customers wants, needs and requests. We made it easy for you, we're a one phone call company, no need to get 3 and 4 different contractors to do different jobs. We offer TURN KEY jobs, from start to finish! From installation to repair, Southampton, NY driveway contractors are responsible for a variety of planning, installation, construction and driveway maintenance services. Driveway materials. While most driveway contractors in Southampton, NY primarily work with asphalt, they are also experts on the wide range of available driveway materials. If you are looking for something different than a standard asphalt driveway, your pro can help you select driveway pavers or customize a brick driveway design. A driveway installation and maintenance professional may work closely with a Southampton, NY builder, landscape professional or various manufacturers and suppliers. 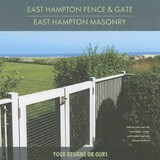 Find a Southampton, NY driveway installation and maintenance professional on Houzz. Narrow your search in the Professionals section of the website to Southampton, NY driveway installation and maintenance. You may also look through Southampton, NY photos to find examples of driveways that you like, then contact the professional or contractor who worked on them.